For some time, the Gardena Farms Irrigation District#13 (GFID) has planned upgrades to their open canal delivery system. The canal was difficult to maintain and wasted water. Irrigation water efficiency studies showed that fully one-third of the diverted water was lost to seepage. In 2000 an Interim Settlement Agreement with the U. S. Fish & Wildlife Service (USFWS) called for increased flows in the Walla Walla River to improve conditions for fish protected under the Endangered Species Act. This served notice to water users that federal regulatory agencies were prepared to take action unless conditions were improved. 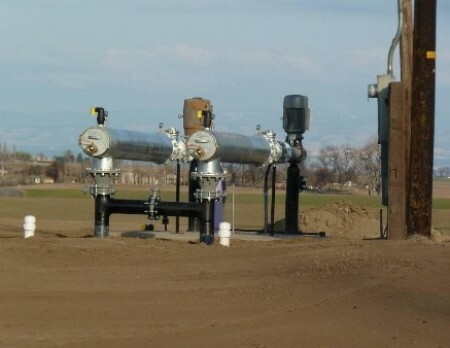 In 2007 GFID installed 2.01 miles of the pipeline with associated laterals. In 2009 they approached the Conservation District for assistance in completing the South Lateral Project. 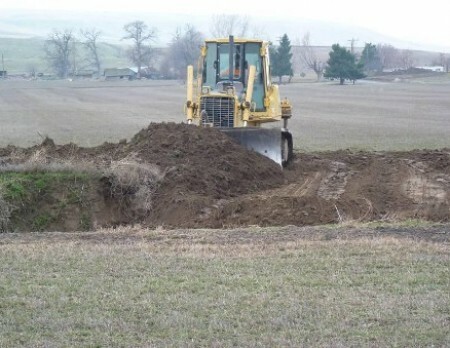 Under the direction of the Conservation District and with grants from BPA and the Department of Ecology, the South Lateral piping project was completed in 2010. 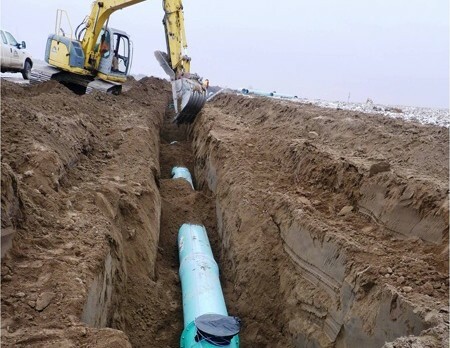 The project replaced 5.5 miles of open canals with a 4.4 mile long pipeline, 3.4 miles of lateral lines, and 21 pump stations at a cost of $2.16 million. The new system is equipped with electronic flow meters that automatically report real time water usage via radio telemetry to the GFID managers. This new system efficiently delivers irrigation water to 2,250 acres while saving 3.99 cfs. The saved water now remains in the river to help endangered fish species. For more information on this truly remarkable project, click here to read the complete final report.